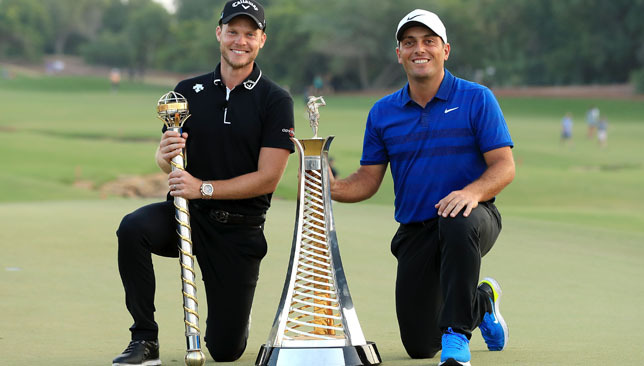 Danny Willett won the season-ending DP World Tour Championship on Sunday as Francesco Molinari secured the Race to Dubai crown. Here, we look at the winners and losers from Jumeirah Golf Estates. The new Race to Dubai champion has taken his game to a different level in 2018, with three tournament wins, including a first major at the Open Championship in July. He also made history by becoming first European to win all five matches at the Ryder Cup last month. Although the 36-year-old will be disappointed with his tie for 26th finish this weekend, he still caps off the best year of his 14-year professional career. The Englishman clinched his first win since the Masters in April 2016 with victory at Jumeirah Golf Estates. Willett carded a stunning final round of 68 to finish two shots ahead of compatriot Matt Wallace and Patrick Reed. With six players within two shots of him on the 14th hole, the 31-year-old went on to birdie three of the next four to clinch his sixth European Tour title. A class act. The London-native continued his remarkable rise in world golf with a scintillating second-place finish. Leading at the halfway stage on Friday, the 28-year-old looked on course to seal his fourth European Tour crown of the season, but a double bogey on the eighth hole in round three saw him close with a 71 and drop down the leaderboard. Still, he redeemed himself with a final round 68 to cap off a fine season. The Northern Irishman arrived in Dubai full of promise and optimism but could only manage a 20th-placed finish – his worst result at Jumeirah Golf Estates. Sitting in a tie for sixth after the end of Friday’s play, it looked like the 29-year-old could be in contention but six bogeys and one double bogey over the final two rounds saw him drop out of the top-20. A poor finish to what has been a mixed season for the four-time major winner. The German was another player who was starting to find his form at the season’s end, but struggled around the Earth course. Coming into this week’s tournament, he was backed by a strong T5 finish at the Turkish Airlines Open and a T21 at the Nedbank Challenge. However, he failed to replicate those formidable displays and ended up posting a miserable seven bogeys and two double bogeys over the second and third rounds, to finish in a tie for 55th. 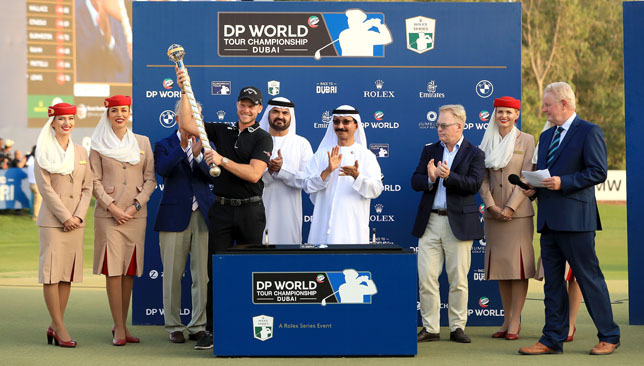 Danny Willett claimed his first win since the 2016 Masters with victory in the DP World Tour Championship in Dubai. Willett carded a final round of 68 at Jumeirah Golf Estates to finish 18 under par, two shots ahead of fellow Englishman Matt Wallace and current Masters champion Patrick Reed. The 31-year-old from Sheffield had not tasted victory since winning his first major title at Augusta National and had slumped from a career-high of ninth to outside the world’s top 450 earlier this season after numerous injuries and a loss of form. Willett credits coach Sean Foley – who formerly coached Tiger Woods – and fitness trainer Kev Duffy for his resurgence, first teaming up with Foley at last year’s US PGA Championship when he admitted he was “pretty low and open to trying anything” to save his career. The move paid off and Willett was slowing climbing the world rankings with three top-10 finishes on the European Tour this season, including a tie for seventh in Turkey a fortnight ago. 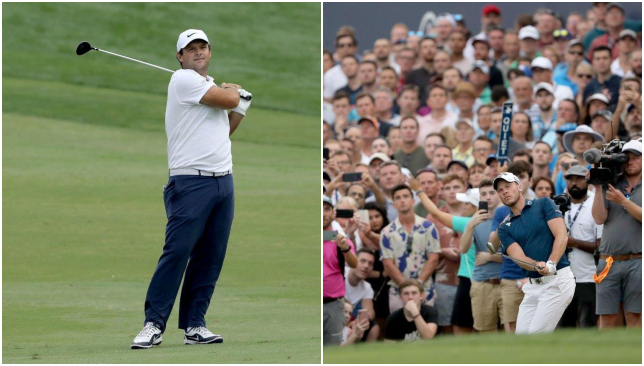 Having started the final round in a share of the lead with Reed, Willett surged three shots clear with a long-range eagle on the par-five second and a birdie on the seventh. That lead was wiped out after bogeys on the 10th and 12th, but Willett responded brilliantly to birdie the 14th, 15th and 17th before a heart-stopping moment on the last, where his drive somehow finished inches short of the creek which runs the length of the hole. Willett and Reed will go toe-to-toe on Sunday. The season-ending DP World Tour Championship is set for an enthralling final round with Englishman Danny Willett and American Patrick Reed tied for the lead on 14 under par on a day of low scoring at Jumeirah Golf Estates. Willett, who will be leading from the front after 54 holes for the first time since the 2017 Maybank Championship, posted his third successive round of five under par 65 as he searches for his first title since the 2016 Masters Tournament. “It would be nice to get back in the winner’s circle,” said Willett. “There’s a lot of golf left, 18 holes. A lot can happen in 18 holes. “I’m just happy with the golf game. The golf game is in good shape. Reed, who won this year’s Masters, only managed to pick up one shot on the front nine but the American reeled off four birdies in six holes on the back nine to grab a slice of the lead. Jordan Smith kept alive his chances of a second European Tour win since graduating from the European Challenge Tour in 2016 with a three under par 60, just one adrift of Willett and Reed at the top of the leaderboard. Meanwhile, Lee Westwood’s hunt for back-to-back European Tour titles and a second DP World Tour Championship crown is well and truly on after a spellbinding seven under par 65 left the Englishman in a tie for fourth place, just two shots off the lead. “I played great, I got off to a quick start, which I wanted to do,” said the 45 year old. “I think experience is valuable, whatever you’re doing. “Whenever you’ve been in a situation before, it’s got to help. I’m just pleased I shot 65 and got myself in there and closer to the leaders, with the conditions as they are and if the wind stays up, then they may not get too far away from me. Fellow Englishman Matt Wallace and South Africa’s Dean Burmester join the 24-time European Tour winner in fourth place after carding 71 and 68 respectively.